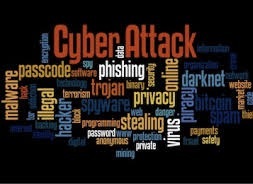 BlogHome » Updates » Cyber Attacks & Ransomware are on the Rise. Cyber Attacks and Cyber Ransomware are on the Rise. • Customer’s information is being stolen! • Cyber Liability Insurance helps businesses survive data breaches and cyber attacks by paying for recovery expenses. 2 ways to protect your business now! 1. Update everything – phones, routers, printers. Software updates help to the avoid unwanted bugs, glitches and also improves your security. 2. Teach – Let your employees know about scams, phishing attempts, social engineering trends, etc. pass the knowledge along. 3. Lock it up – Use long, secure passwords and change them often. Set your computer to sleep mode when you walk away. 4. Back-up your data – Protect your business from ransomware. 5. VPN – Use virtual private networks (VPN) they are essential for people working remotely. VPN’s create encrypted computer usage. 6. Protect Personally Identifiable Information – Is information that can be used to identify, contact, or locate a single person. Do not send social security numbers, bank account numbers, drivers license number, date of birth, home address, passport numbers, credit card numbers, pin numbers and passwords on the internet.